Pay Off Your Outstanding Property Taxes in Bryan in As Little As 3 Days! Can Direct Tax Loan help pay off my property taxes in Bryan TX? Absolutely! Direct Tax Loan is willing to help Bryan residents affordably pay off their remaining taxes owed. To accommodate our clients with varying budgets, we are flexible with monthly payment plans. First and foremost, Direct Tax Loan will not ask for a down payment or dreadful out-of-pocket fees. Rather, within your loan we include any costs maintained by the state of Texas. A cost and interest rate charged will depend on your property type, the amount of the loan, and the deadline of when you plan to have the loan paid off. Direct Tax Loan ensures lower charges than your county. How fast can I get my property tax loan in Bryan TX? Within just three days, we can have your loan approved. Once approved, property taxes through us can be paid within seven to ten days. Over 300,000 residents each year are unable to keep up with their Texas property taxes. While expensive, costs can add up quick. The clock is ticking. Not only will you have more money owed if your fail to pay real estate taxes on time, but you may even have additional fees. However, getting your taxes paid off sooner through us is more often affordable that getting charged penalties and/or interest for late property taxes. Direct Tax Loan understands that the more time a homeowner lets slide without paying property taxes, the higher the cash they must pay up. That is why we are dedicated to getting our clients’ loans paid off quickly. Let’s face it, not every property tax loan is best for every seeker. It just doesn’t make sense that a loan would be a one-fits-all. That is why we work with our clients to best suit them and their needs, even if a loan isn’t the right option for them. With Direct Tax Loan, you can trust that our team is experienced in finding the appropriate options for you. For instance, we will seek a tax deferral for our clients with disabilities and/or over the age of 65. We want our clients to receive the best experience in paying off their overdue property taxes, no matter the option they decide upon to pay off their taxes. Property tax loans are used for individuals who have unpaid property taxes and need help paying them off quicker. When one comes to Direct Tax Loan, we pay off your taxes fast to save you money as potential late fees, interest rates, and other costs add up. We’ll help you set up a convenient payment plan to repay your loan. As a means of security, one will have a property tax lien placed on their home until the loan is fully paid back. Opting for a loan means one will feel confident that their property won’t end in foreclosure. Keeping in mind that Texas property tax lenders protect less than one percent of mortgage lenders’ properties from foreclosure, we fully delve into foreclosure prevention any way we can. Why opt for a property tax loan instead of just paying your loan late? It’s simple. Tax loans can help take the burden of overdue taxes off your hands and help you avoid interest, collection fees, and penalties for being overdue. Using Direct Tax Loan, you can be sure to pay no down payments or prepayment penalties. With us, it’s important that our lenders receive the proper experience. Unlike some lenders, Direct Tax Loan will not perform home inspections, background checks, or credit checks. Forget this long, painful process and have your loan processed in seven days or less through us! Going through Direct Tax Loan, you’ll have your statements provided regularly. Forget having to contact other companies to know where you and your loan stand. Our excellent customer service ensures you are provided with the information you need without hassle. Best of all, our clients will receive personalized service from our staff. We learn who our borrowers are. You can be sure to become familiar with our set of office staff when coming in contact with us, and we won’t share your information to outside sources. Any questions or concerns can be tended to through contacting Direct Tax Loan. Unlike others, we are dedicated to help and get in contact quickly. Not one solution will work with every client. That is why Direct Tax Loan customizes payment plans to best meet the wants and needs of our recipients. After all, each individual has a different situation and reasoning for receiving a loan in the first place. We are flexible with the requirements of our clients. If you find you need your loan quicker to pay off current overdue taxes, we can work with you to come to a solution. Getting property tax advice has never been simpler. Just a simple call, and we’ll have your loan experience molded to your current situation. Unlike many other property tax lenders, we don’t allow credit scores to affect the likelihood of approval from our potential borrowers. This way, 98% of individuals qualify for a loan through us. Meanwhile, borrowers are disqualified for bad credit elsewhere. This disqualification only adds more frustration and diminishes the time one could have their property taxes paid off. Even individuals with high credit scores aren’t more likely to be approved by us. In fact, we don’t do credit checks at all, something less to worry about. Generally, we make it simple to get approved for a loan. We want the majority of loan seekers to find a solution through us. On the bright side, Direct Tax Loan can work with individuals struggling to sell their home due to a title issue. We are willing to look into the issue ourselves and clear your title for free. After all, our customers are our dedication. Nobody wants to pay any initial costs they already can’t afford. Forget application fees, down payments, and other costs when you work through Direct Tax Loan. It only makes sense that someone seeking a property tax loan to help pay off debt doesn’t have to pay up right away. Conveniently, we will charge any expected fees into your loan itself, not before the process formally begins. This way, our borrowers focus on the first step: paying off their property taxes. You’ll know exactly where you’ll stand with no surprising fees. Direct Tax Loan understands that it’s only fair to charge our borrowers after the work is completed. Our goal is to save you money, not to break your bank. When you need a loan, you have minimal time to get through the process. Your goal is to get your property taxes paid off quickly to avoid uprising costs. Some property tax lenders will keep you waiting and have you wishing you never went through them. However, Direct Tax Loan knows that a quick process is highly appreciated among our borrowers. Direct Tax Loan can pre approve your loan within just two days and finalize your approval in three days! No lengthy background or credit checks – just a quick application. You don’t have time to wait. Contact Direct Tax Loan today for property tax help ASAP. Having delinquent property taxes can be stressful because it will lead to an unimaginable debt. Direct Tax Loan offers property tax loans in Bryan TX to both commercial and residential owners. So if you are one of those property owners that haven’t paid their taxes, we are the right company to help you. Maybe you are unable to pay your property taxes due to unforeseen medical bills, loss of a job, or the economy is too hard on you. Regardless of the reason, we promise to help you pay your tax bill and evade the hefty state penalties. We know the frustration of losing a property to foreclosure, which is why we do our best to save you from your debts. Our company has been helping property owners to settle their tax payment for many years now. We are a caring property tax lender that will offer you a loan to cover your tax debts. Our loans come at affordable rates, so you can avail our easy repayment options. Apply for free today, and let us help you secure your property. 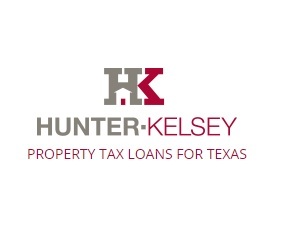 Offering property tax loans in Bryan and the entire state of Texas, Hunter Kelsey offers a streamlined process and has an A+ rating with the Better Business Bureau. They will offer loans on virtually any type of property, from residential homes to farmland. Property tax loans are a good alternative to slowly paying off back taxes. If taxes are paid off slowly and allowed to accrue interest and late fees, you run several risks. The first and most immediate are the fees themselves, which can add up extremely quickly. The next potential outcome – even more devastating than being buried in fees – is the risk of foreclosure, which can happen if you owe delinquent taxes.